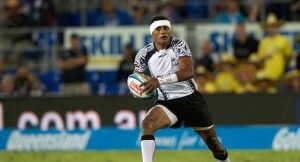 Fiji player Joji Raqamate has been nominated for the IRB Sevens Player of the Year award. Nominees: Joji Raqamate (Fiji), Afa Aiono (Samoa), Willie Ambaka (Kenya), Cornal Hendricks (South Africa), Frankie Horne (South Africa), Gillies Kaka (New Zealand), Tim Mikkelson (New Zealand), Dan Norton (England). In the women’s category the five nominees are: Kelly Brazier (New Zealand), Jennifer Kish (Canada), Kayla McAlister (New Zealand), Emily Scarratt (England) and Kelly van Harskamp (Netherlands). Members of the public are invited to vote at facebook.com/irbsevens and facebook.com/irbwomens on who they think should win the two awards. At the end of the pool rounds of Rugby World Cup Sevens the lists will be further shortened, taking into account the public poll, the initial nomination voting process and World Cup form, with the two winners announced in Moscow at the conclusion of Rugby World Cup Sevens on Sunday June 30.